The wifi was worth the money we paid. But it took us a while to claim it since only one staff was available at that time. It's never been so easy to stay connected whilst abroad. With an easy pick up service at Hong Kong International Airport you'll enjoy WiFi access throughout your stay. The speedy 4G Hong Kong pocket WiFi device connects up to five different phones, laptops and tablets at once and supports 4-6 hours of surfing on one battery charge. With high speed internet feach day, you will be able to share your travels with friends and families wherever you go! So avail of the pocket WiFi rental in Hong Kong and add some spontaneity to your travels with the ability to plan on the go and keep in touch with friends and family wherever you are. If you're leaving Hong Kong for another destination in Asia, we've got you covered too, Klook offers WiFi pick up in Hong Kong for holidays in Thailand, Singapore, Taiwan, Japan, Korea and beyond. Check out the new WIFI device, the Macaroon, with a maximum battery life of 8 hours! Receive the pocket WiFi device and start surfing! Never fails to provide me internet connection wherever I go. But mostly not needed if you go to theme parks as they provide free wifi. Please bring also powerbanks to charge your phones and wifi router. you must also prepare 500HKS for deposit and get the refund when you return the router with complete set. Never fails to provide me internet connection wherever I go. But mostly not needed if you go to theme parks as they provide free wifi. Please bring also powerbanks to charge your phones and wifi router. you must also prepare 500HKS for deposit and get the refund when you return the router with complete set. Easy to use, the internet is so fast (4G), so far so good! Really like it. But don't forget to bring your credit card or cash HK$ 500 for the deposit right when you want to pick up the wifi at the airport( Level 5, Arrival Hall A08). Easy to use, the internet is so fast (4G), so far so good! Really like it. But don't forget to bring your credit card or cash HK$ 500 for the deposit right when you want to pick up the wifi at the airport( Level 5, Arrival Hall A08). 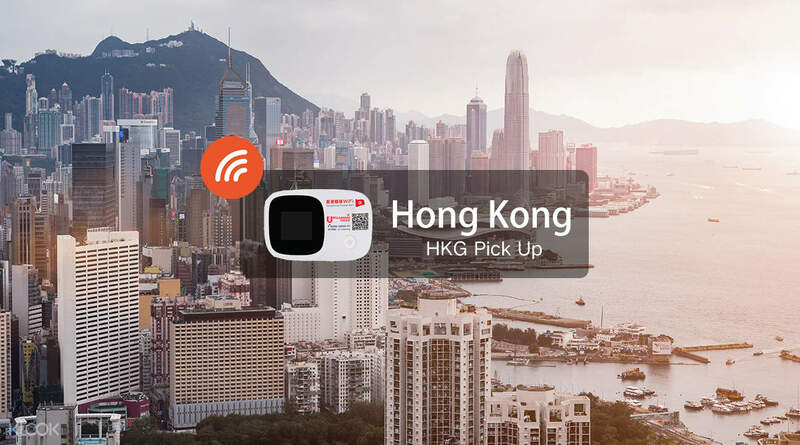 Pocket Wi-Fi Rental Service to both Hong Kong residents and visitors in Hong Kong. The Pocket Wi-Fi lets you to stay connected in oversea with data service. What is more, it can share with up to 10 devices at one time, so if you are travelling with family or friend, you can all get online with one single Pocket Wi-Fi. Pocket Wi-Fi Rental Service to both Hong Kong residents and visitors in Hong Kong. The Pocket Wi-Fi lets you to stay connected in oversea with data service. What is more, it can share with up to 10 devices at one time, so if you are travelling with family or friend, you can all get online with one single Pocket Wi-Fi. Our experience with Klook was amazing. Getting the device was fast and easy. Clear instructions were given while we were taking the device. 4g signal was very fast even when there's 3 of us using it. We were very updated in our social media all thanks to this portable wifi. And we also found out that in our hotel, wifi can ONLY be accessed in the hotel lobby. So we were thankful that we don't have to go to the hotel lobby just to browse social media. Our experience with Klook was amazing. Getting the device was fast and easy. Clear instructions were given while we were taking the device. 4g signal was very fast even when there's 3 of us using it. We were very updated in our social media all thanks to this portable wifi. And we also found out that in our hotel, wifi can ONLY be accessed in the hotel lobby. So we were thankful that we don't have to go to the hotel lobby just to browse social media. The signal is strong and we did not encounter any problem. I recommend this wifi if you stay in hongkong. We will definitely book this wifi again. Thanks Klook! The signal is strong and we did not encounter any problem. I recommend this wifi if you stay in hongkong. We will definitely book this wifi again. Thanks Klook! Easy to redeem. The pick up location can easily be located at the arrival hall. The speed is fast and we have internet connection everywhere we go in Hong kong. Easy to redeem. The pick up location can easily be located at the arrival hall. The speed is fast and we have internet connection everywhere we go in Hong kong. It is reliable pocket wifi for your trips. Can easily be picked up from the Hong Kong airport when you land and return in the same pickup point. Recommended! It is reliable pocket wifi for your trips. Can easily be picked up from the Hong Kong airport when you land and return in the same pickup point. Recommended! Great budget pocket wifi service , exellent service , airport pick up counter kiosk is a-little bit long , satisfied with the new pocket wifi gadget improve battery life . Great budget pocket wifi service , exellent service , airport pick up counter kiosk is a-little bit long , satisfied with the new pocket wifi gadget improve battery life . our first time at hk Disneyland was sure a big blast,had a fun time. easy access to Disneyland using the vouchers! sure gonna get more from klook ! Xie Xie Klook! our first time at hk Disneyland was sure a big blast,had a fun time. easy access to Disneyland using the vouchers! sure gonna get more from klook ! Xie Xie Klook!